On 19 December, US AFRICOM announced the conclusion of its aerial Operation Odyssey Lightning. This announcement came two days after the Government of National Accord (GNA) announced the end of offensive military operations in Sirte. Mine clearance operations are still ongoing as well as the collection of corpses and the sanitisation of the city. Although Sirte is now under the firm control of Misratan al-Bunyan al-Marsus (BM) forces, threats still remain from booby traps, IEDs and any remnant ISIS fighters possibly still in the city. The re-stabilisation of Sirte and its infrastructure is likely to take months. Reconstruction efforts are being organised by the Stabilisation Facility for Libya which is run under the auspices of the United Nations Development Programme, and is being supported by the UK, among other countries. 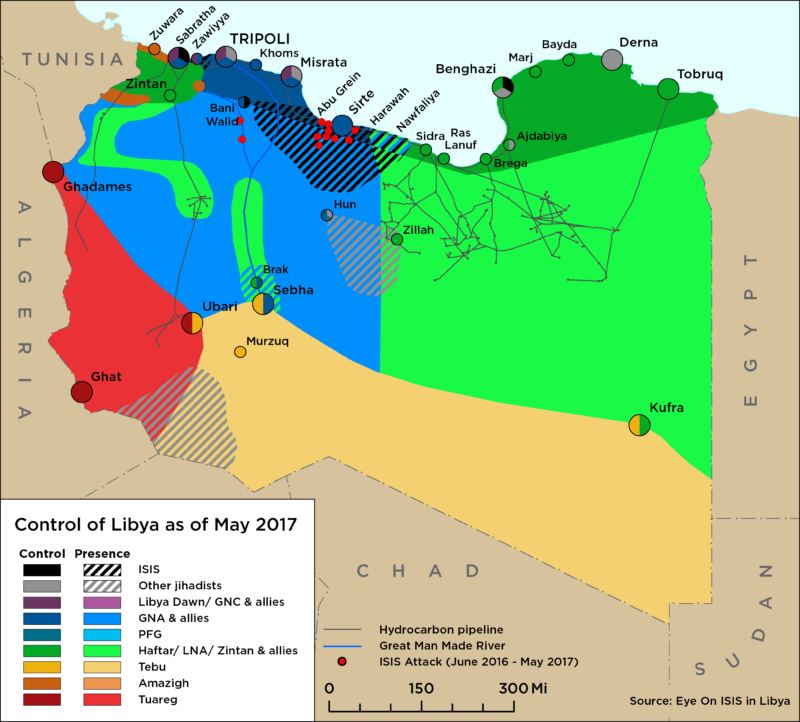 On 23 December, two Libyans from Fezzan hijacked a Libyan plane flying from Sebha to Tripoli and forced it to fly to Malta. The plane landed in Malta and all the passengers and crew were evacuated safely. The hijackers were then arrested by the Maltese authorities. There are few confirmed details about the motivation for the hijack, however it seems the incident was intended to look like Qadhafi supporters were to blame. After the hijack Colonel Bin Nayel, a Libyan National Army (LNA) commander, called for Misrata’s Third Force to hand over control of Sebha airport. 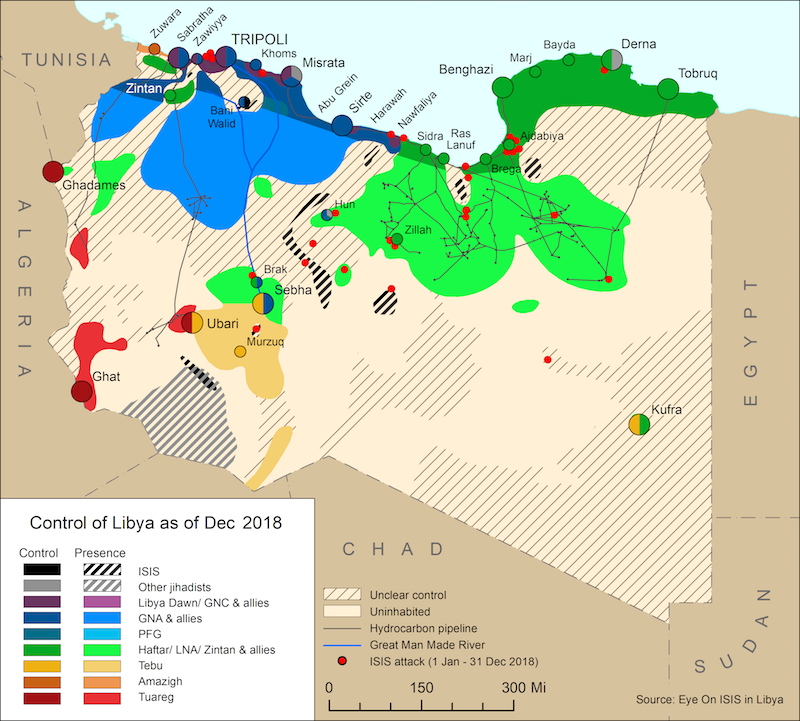 On 21 December, the GNA’s Prime Minister Fayez al-Serraj visited Ghat in south-western Libya. Qadhafi supporters reportedly greeted him with green flags and images of the former leader.